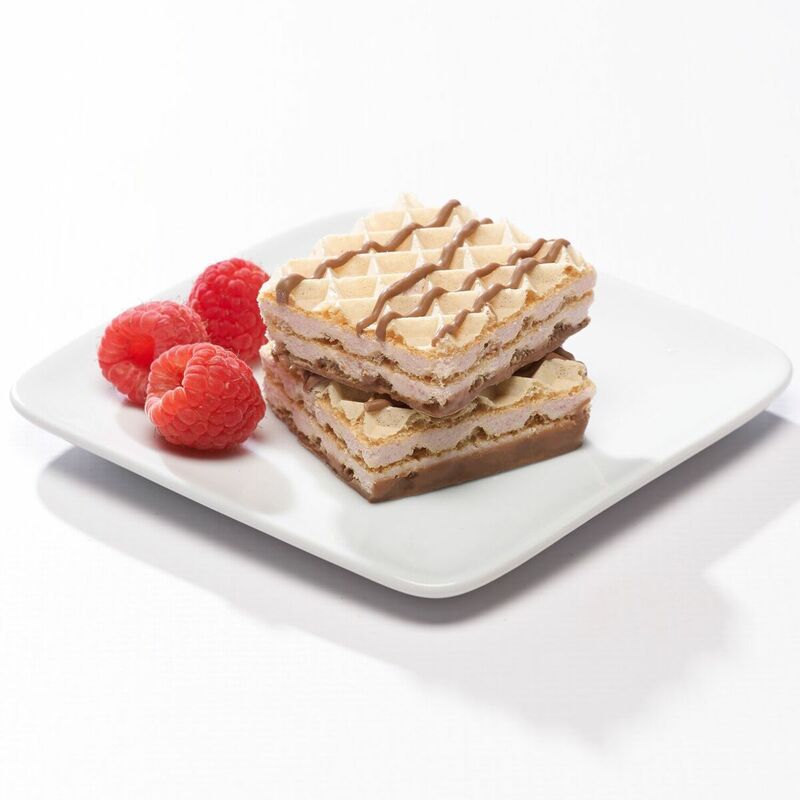 For a quick and delicious snack or dessert, look to High Protein Wafers, available in five distinct, bestselling flavors. 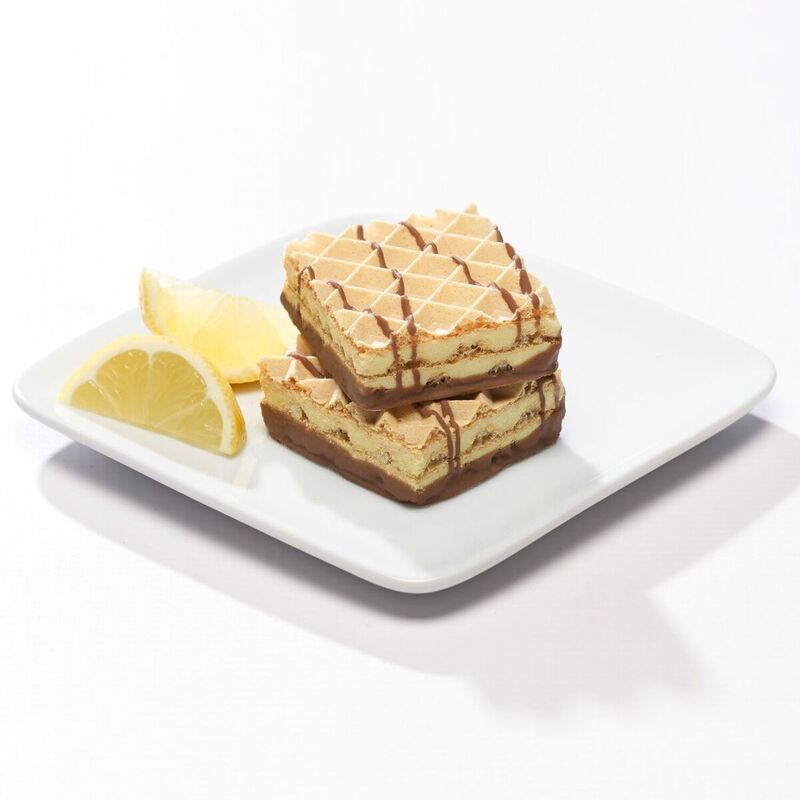 These great tasting, long lasting, hunger sustaining squares are full of 15 grams of protein and are guaranteed to keep your patient’s pesky cravings at bay. Our richest offering is only 210 calories, with all three flavors cholesterol free. Vanilla: Protein blend (milk protein isolate, hydrolyzed gelatin, whey protein isolate), wheat flour, fractionated palm and palm kernel oil, sugar, fructose, milk ingredients (skim milk, milk, cream), cocoa butter, unsweetened chocolate, soy lecithin, whole egg powder, soy flour, sunflower oil, water, natural and artificial flavors, salt, sodium bicarbonate, sucralose (non-nutritive sweetener), corn flour. May contain tree nuts. 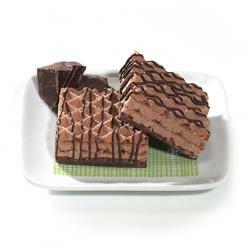 Chocolate: Protein blend (milk protein isolate, hydrolyzed gelatin, whey protein isolate), wheat flour, fractionated palm and palm kernel oil, unsweetened chocolate, sugar, fructose, soy lecithin, cocoa powder (processed withalkali), eggs, soy flour, cocoa butter, milk fat, sunflower oil, water, salt, natural and artificial flavors, sodium bicarbonate, sucralose (non-nutritive sweetener), corn flour. Mocha: Protein blend (milk protein isolate, hydrolyzed gelatin, whey protein isolate), wheat flour, fractionated palm and palm kernel oil, unsweetened chocolate, sugar, fructose, milk ingredients (skim milk, milk, cream), cocoa butter, soy lecithin, natural and artificial flavors, whole egg powder, soy flour, sunflower oil, water, salt, sodium bicarbonate, sucralose (non-nutritive sweetener), corn flour. 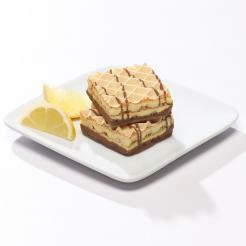 Lemon: Protein blend (hydrolyzed gelatin, acid casein, whey protein isolate, pea protein isolate), wheat flour (wheat flour, calcium carbonate, reduced iron, niacinamide, thiamin, vegetable oil (modified palm oil, palm kernel oil, sunflower oil), sugar, fructose, cocoa butter, nonfat dry milk, natural and artificial flavors, cocoa liquor, soy lecithin, whole milk powder, milk fat, soy flour, water, salt, sodium bicarbonate, citric acid, sucralose (non-nutritive sweetener), tumeric extract (color), corn flour. Raspberry: Protein blend (hydrolyzed gelatin, acid casein, whey protein isolate, pea protein isolate), wheat flour, vegetable oil (modified palm oil, palm kernel oil, sunflower oil), sugar, fructose, cocoa butter, nonfat dry milk, cocoa liquor, natural and artificial flavors, soy lecithin, milk fat, soy flour, water, beet juice powder, salt, sodium bicarbonate, citric acid, sucralose (non-nutritive sweetener), corn flour. Our office loves the Dark Choco wafer! One of our most favorite proteins!